The real art of the customizer is to create the illusion of life out of an inanimate piece of plastic. Sue Gasser creates sweet and tender girls that have a life of their own through her close-up photography. 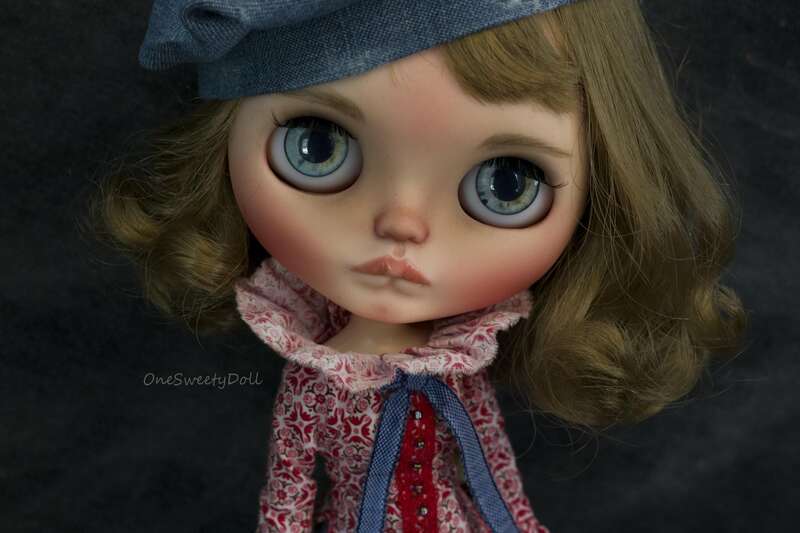 If you still didn’t know Sue’s work, you will be in for a treat with this interview, and if you are, you’ll get to know her better as a person and Blythe doll customizer. There’s a beginning to everything, you have to start trying before you succeed. My name is Sue, I am Swiss, and I live in Geneva. 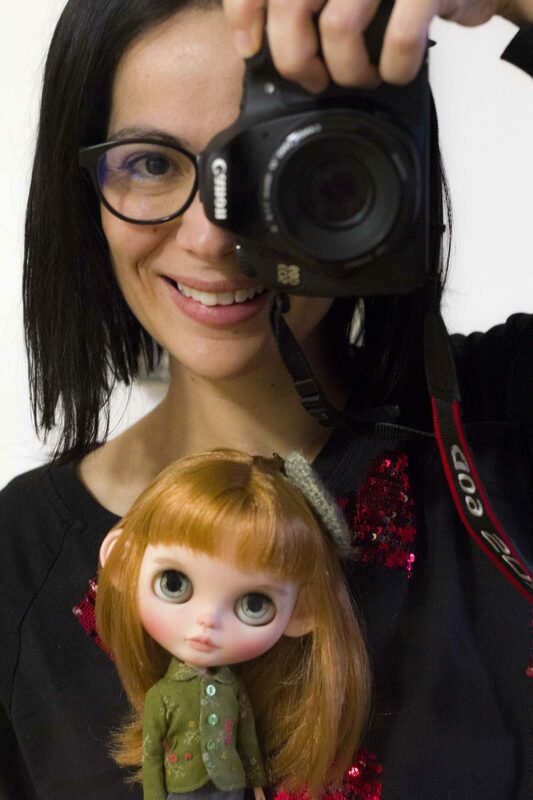 I always loved dolls and their magical world. I have a university degree in Computer Engineering. I have a good knowledge of some Graphic Design tools, in 2012 I created several digital models of dolls using real texture. At first, the customizations were for my own collection, then I decided to start selling my work. 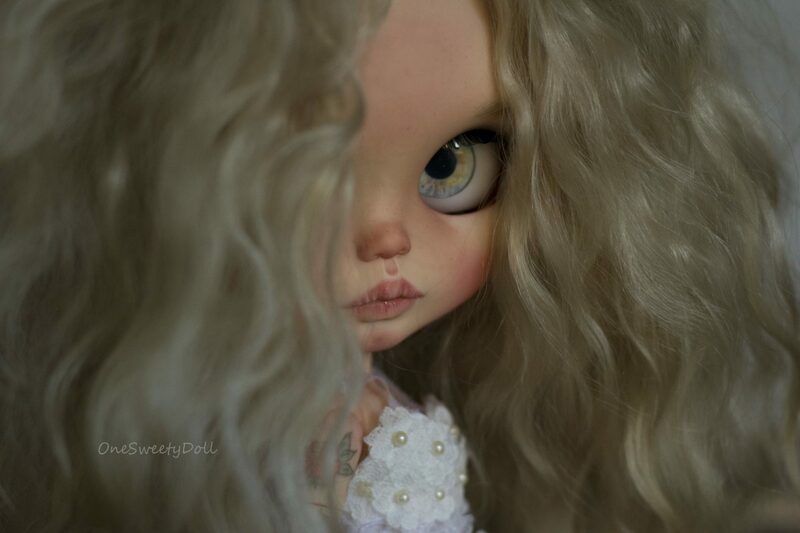 I don’t remember when, but I was in the world of BJD, I admired their beauty until the day I discovered a doll from Suedolls and another from Taradolls. Unlike others, I immediately liked their big eyes. 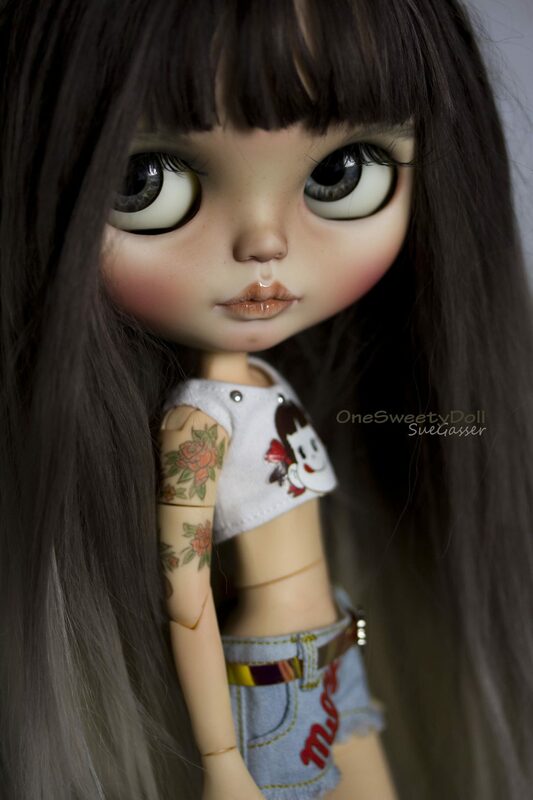 I don’t know exactly, but some of my friends told me that they recognized my style and my dolls. I can say 1 year. 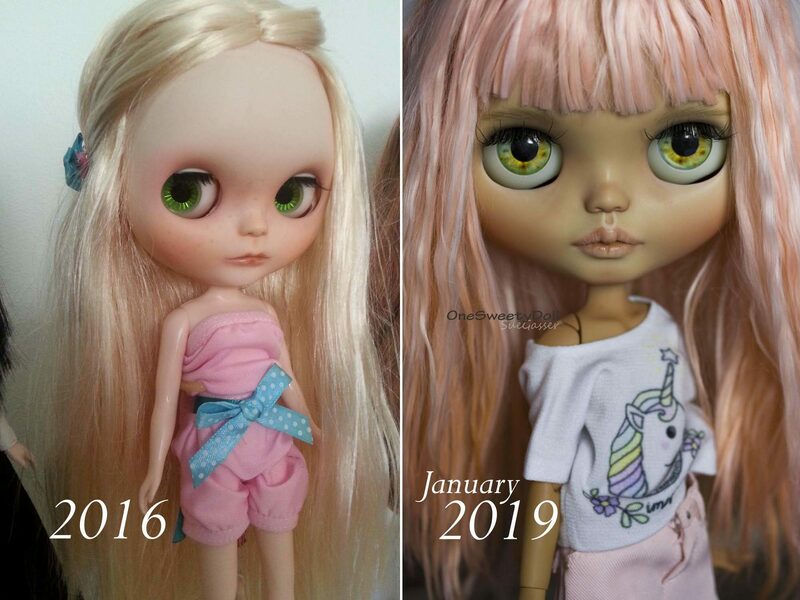 First custom Blythe doll (2016) and latest (January 2019). Currently, it’s a hobby, but I want to become a professional soon. 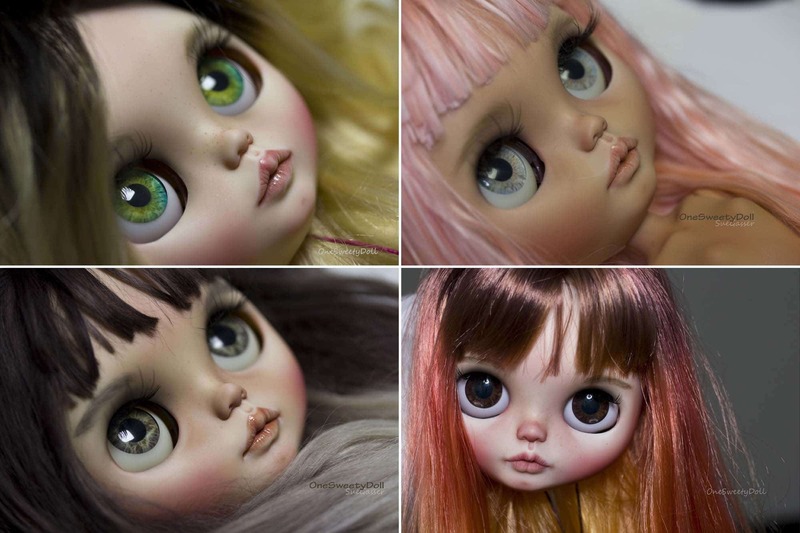 Yes, I plan each of my girls: Their face, whether she will be a little girl, a diva or a rebel, the choice of eyes, the outfit, the make-up style, and hair before I start carving. I have project boxes, and it takes me a month or more to fill the box. Once everything is in the box, I stick to my plan until the end and start carving. I love carving. At first, it was my worst step because I was afraid to ruin the faceplate. I also enjoy assembling and holding the head without a body in my hand. It’s so beautiful to see the result. I hate to place the eyelashes, sometimes I ruin the eyelids, and I have to do it all over again. 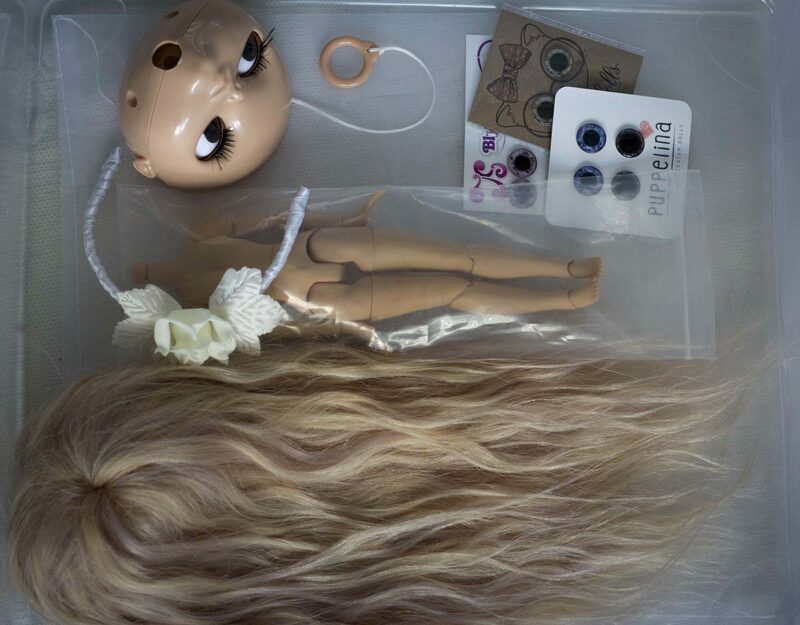 Custom work steps – from original faceplate to final customized doll. I customize one at a time, and It takes me about a week’s work or more. I sometimes interrupt carvings and start a new one. Currently, I have 4 unfinished dolls. 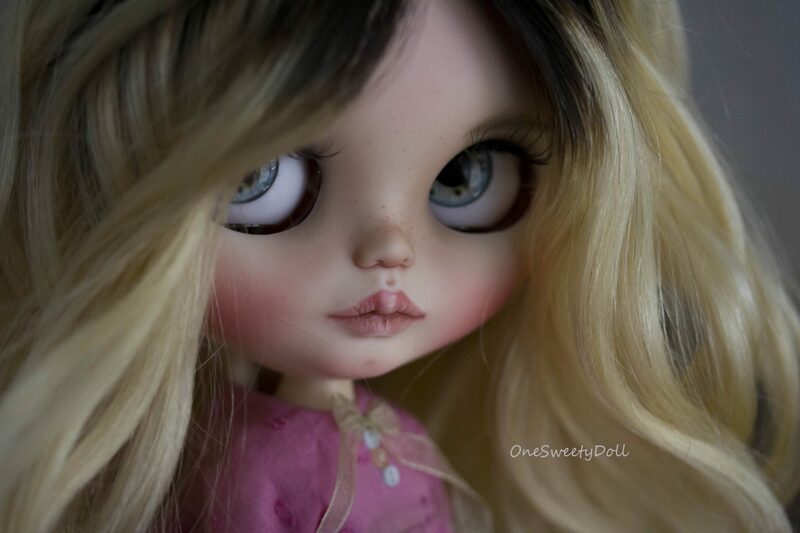 Original EBL Fancy Pansy and final customized doll. In the living room, I have a desk with my computer, it’s not big and quickly becomes chaotic. 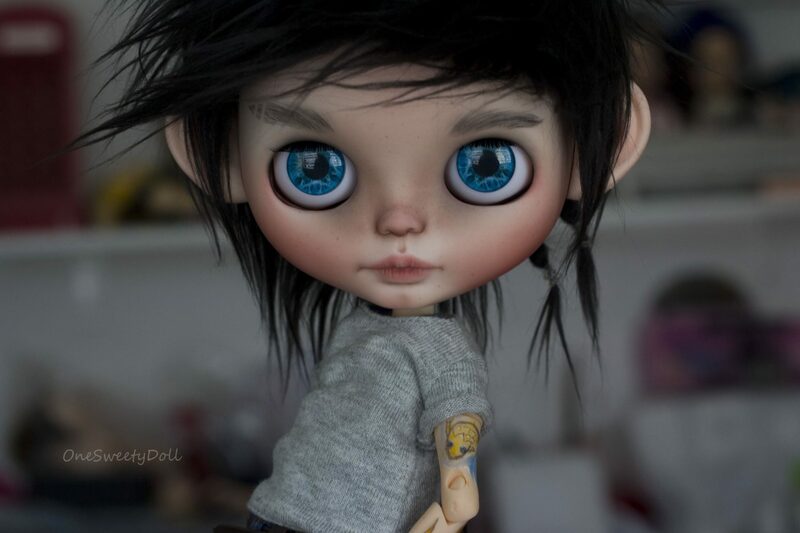 I get inspired by real people, sometimes it’s enough for me to look at a person and I immediately think about making a doll that looks like her or him. I often browse the internet and save some pictures of people that inspire me. I can say that my style is realistic. I use only the scalpel blade 23 and 11. My favorite mold to work with is the RBL without a doubt. It’s easy to open, has a good thickness of plastic and the pretty shape of the face and eyes. But Blythe EBL are still my favorite girls. My price depends on the doll and the material used, then I compare to the market. Practice and especially don’t rush. Take the time to check and sand. This it’s important. 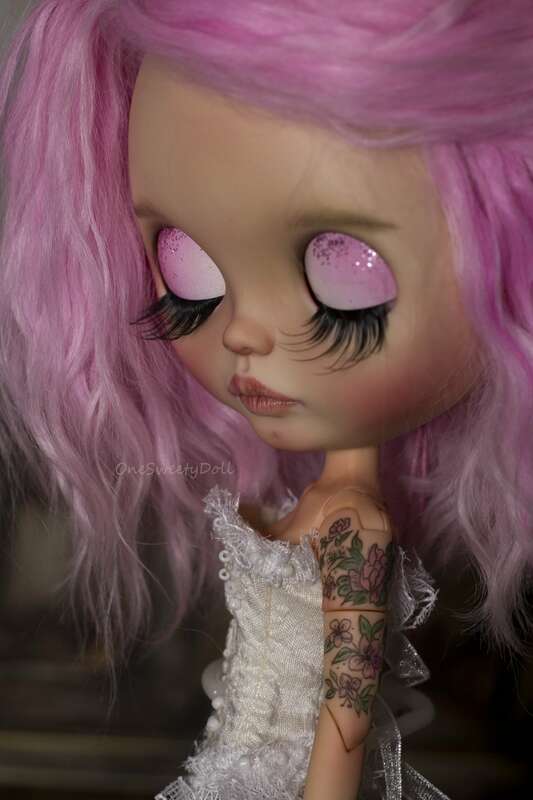 Sue Gasser is a prolific Blythe doll customizer that started back in 2016 and has done over 146 dolls in just three years. Even though she’s still only doing it as a hobby, she already has a brand and style that is easily recognizable. I wonder how Sue will do when she goes full-time, but I imagine that it will be a success. 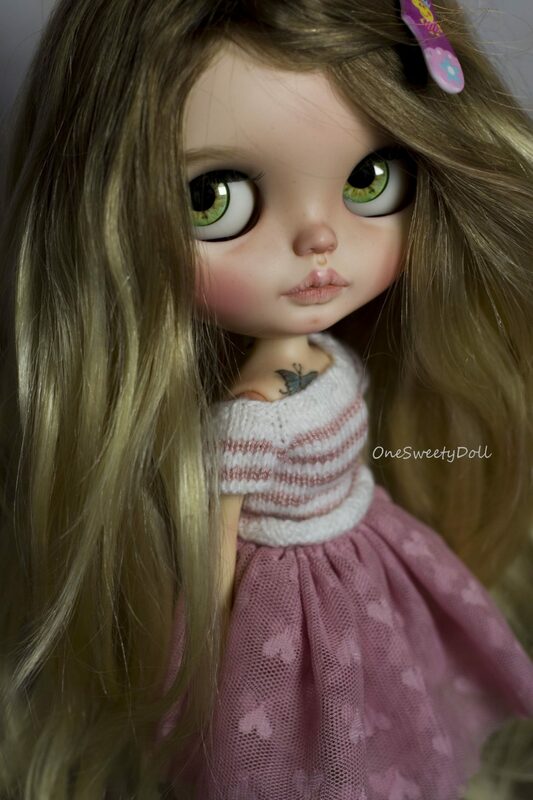 OneSweetyDoll is the perfect example of how hard work and perseverance translates into quality and success.